Penny stocks are a popular way to get involved in the trading world, but most people have no idea how to go about choosing the right stock to invest in. 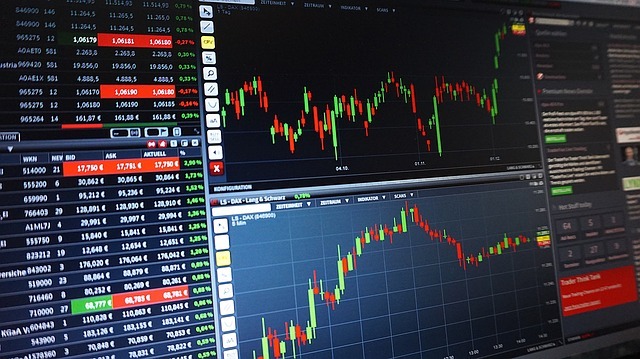 Selecting a stock is hard work in any situation, but it can be particularly tough when it comes to penny stocks, simply because there is so little information available on the market to let you know whether a stock is good for your financial portfolio or not. With thousands of stocks to choose from, most people turn to screeners like the Finviz screener for help narrowing down their options. However, there are a few other methods you can use to improve your chances of success too. One of the first things you need to do when you’re trying to pick the right penny stock is learn as much as you can about the company. Most penny stocks are cheap in price because the brand in question won’t have much of a background in their industry. However, that doesn’t mean that you can’t see what’s available on Google. Although you won’t get all the answers, you may be able to find out whether the business looks legit or not, just by checking out their website and some of the latest news stories about them. Once you’ve done your research into the company that you may be interested in investing in, you can begin to look at things like volatility and volume. Volatility is a crucial component to consider with any penny stock. You don’t necessarily want to focus too much on stocks that are moving slowly up or down. Instead you’re looking for stocks that are rapidly spiking. However, don’t get too caught up in focusing entirely on volatility, you’ll need to think about volume too. Ignoring volume can lose you a lot of money in the long term. The main rule of thumb to follow here is that if there isn’t a lot of volume in the company, you probably shouldn’t trade the stocks. Finally, it’s worth listening to the buzz in the trading world about the penny stock that you’re thinking of trading. Just to be clear, although it’s valuable to listen to what other people are saying, that doesn’t necessarily mean that you should blindly invest in a stock just because someone else thinks you should. Instead, you’re looking for rumors that you can find out more about with an additional search. For instance, you might notice people talking about the debt that a company has seen over the last couple of months. This will tell you that you need to look at the debt sheets for the business in closer detail. If you notice a lot of debt, then you should probably stay away from the business. If a business is shrouded in debt, then this is a sign that it’s selling stocks just to stay alive – and that’s not something you want to be a part of.